Ruth Kaufman is the author of two medieval romance novellas for WolfeBane Publishing and six novels. Her Wars of the Roses Brides trilogy (At His Command, Follow Your Heart, The Bride Tournament ) reached #1 historical romance on Amazon in the US, Canada and Australia. My Life as an Extra is the standalone prequel to her romantic comedy My Life as a Star. Accolades include 2016 Booksellers’ Best Award double winner (Best Historical and Best First Book) and Romance Writers of America® Golden Heart® winner. Ruth is also an actor with a J.D. and a Master’s in Radio/TV. 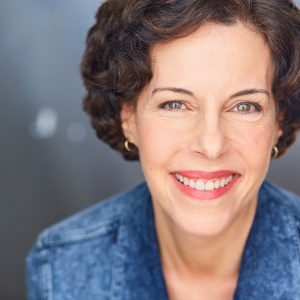 She’s had roles in independent feature and short films, web series, national TV commercials and thousands of voiceovers. She presents workshops for authors and actors, sings in a symphony chorus and is a comedic storyteller. Ask what she did on America’s Funniest People and for the live judges round of America’s Got Talent, Season 8.